Welcome to Turks and Caicos. All photos by Pavia Rosati. It's easily accessible, friendly, lazy, and just active enough. 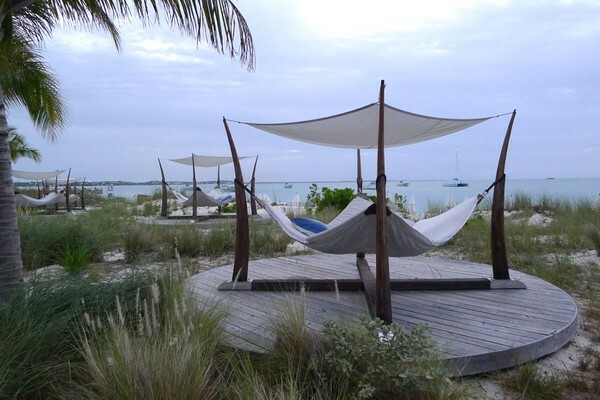 Fathom founder Pavia Rosati makes her way to Turks and Caicos, and is totally sold. 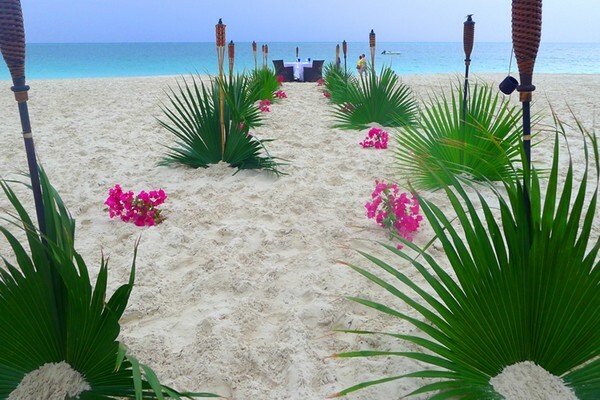 TURKS AND CAICOS – Is Turks and Caicos the perfect Caribbean getaway? Let’s consider the evidence. I’ve been to Jamaica and I can’t stop dreaming about Goldeneye. I’ve snorkeled around St. John, I’ve whiled away lazy mornings reading in the Augustinian Cloister at One and Only Ocean Club Bahamas. I haven’t been to Sugar Beach in St. Lucia, though, yes, I know it’s heaven. But if we’re giving points for convenience, ease of planning, flight options, water gorgeousness, available activities, local culture, and general we-know-how-to-roll-out-the-welcome-mat-for-visitors, I’m giving the blue ribbon to Turks and Caicos. The stage is set at Grace Bay Club. And not just in the winter. I spent a week at the awesome Grace Bay Club last June, when New York City was already in its summer bloom, when one might reasonably think the last thing a New Yorker needs is a week in the Caribbean. Reasonable, maybe, but I love the Caribbean in the summer. The rooms are cheaper, the sun is glorious, and the scene isn’t bonkers. Their off season is my on season. There are several islands in the chain (see below), but you’ll probably stay on the main one, Providenciales, home of the international airport. Everyone calls it “Provo.” Most of the hotels concentrated 20 minutes from the airport along Grace Bay on the northeast shore. “Most hotels” and “concentrated” may sound like a recipe for touristy overload, but it’s not. Even the biggest hotels are on the small side, and the beach is wide enough that it never feels crowded. T&C deserves credit for its careful civic planning: The island never feels overdeveloped. 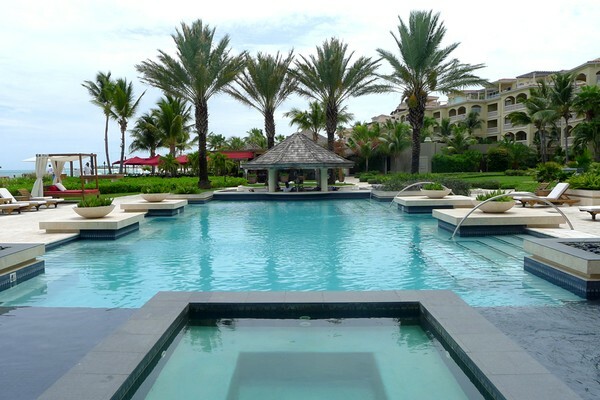 The pool at Grace Bay Club Villas. 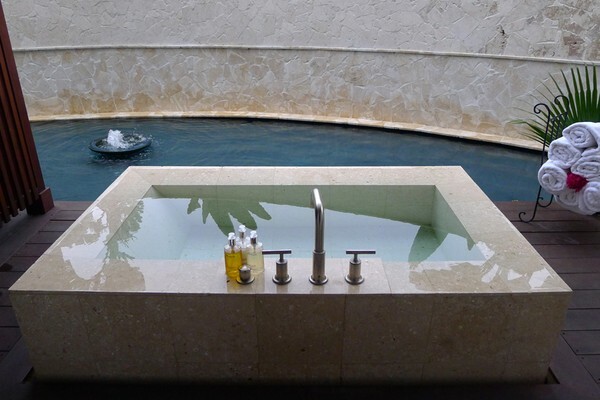 The spa at Grace Bay Club. Where are you going to spend the afternoon? On a daybed along eleven acres of white sand beach? In one of the many pools? Getting a hot stone massage at Anani Spa? Grace Bay was the first luxury hotel on Turks and Caicos, and it remains one of the island’s best. There are three separate accommodations: the Villas, the Hotel, and the Estate. All are beachfront and have their own pools. The Villas is family-friendly, with apartments as large as three bedrooms with kitchens, balconies, and living rooms. The Hotel is adults-only, with suites up to two bedrooms. The Estate is really plush, with suites (many of which are privately owned) as big as four bedrooms with media rooms/libraries, professional-grade kitchens, and private plunge pools. Bring your valet and your private chef. Though you’ll eat well everywhere at Grace Bay: at the casual Grill Rouge, along the dramatic, 90-foot Infinity Bar, and at Anacaona, the gourmet dinner-only restaurant. There’s a kids club and a VIK package (for Very Important Kids), a boutique filled with beautiful beachy things, and tennis courts. I spent a lot of time at Grace Bay with COO Nikheel Advani, a man whose hotel matches his personality: sophisticated and friendly, charming and fun, worldly and welcoming. The value option for Grace Bay Beach. Guests have access to two nearby hotels: Ocean Club and Ocean Club West. It's sceney, it’s Miami-y, it’s what you’d expect from a Gansevoort, including the excellent Exhale spa. The newest resort on Grace Bay Beach is a small, 21-suite boutique hotel with "pampering pods" on the beach. You're probably taking most of your meals at your hotel, but when you do venture off to explore the island, these are the places to hit. Epic! And famous for good reason. 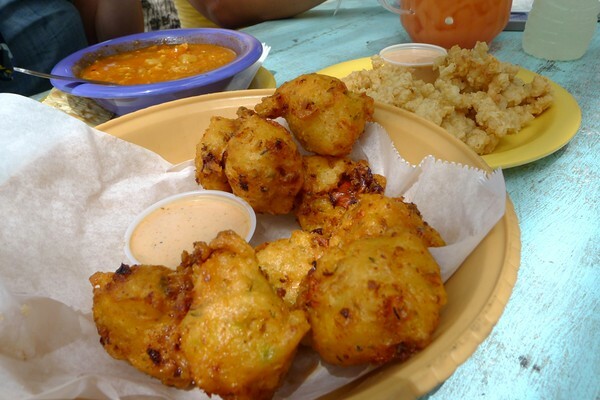 Pastel-colored picnic tables on the beach, conch plucked from the ocean beds and served in any of a number of ways: ceviche, chowder, fritters, curried, and stewed. You could get jerk chicken and blackened fish, but, come on. It’s da conch shack. On Thursdays and Sundays, there’s live music. Sunday is family day. 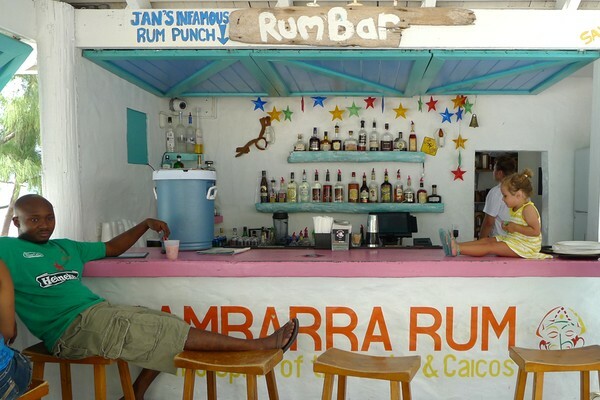 Everyone loves the rum bar at Da Conch Shack. Fritters and chowder at Da Conch Shack. An excellent, lovely, and authentic Indian restaurant in Regent Village overseen by charming Vinni Razdan, who I met when he managed the food and beverage program at Amanyara. He cooked a private meal for me and my husband on the beach and made us fans forever when he admitted he called his mom in India to confirm a recipe. 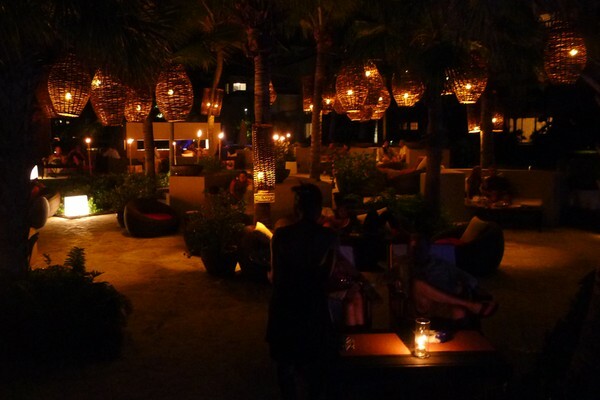 Dine outside under swaying palm trees within Provo’s largest palm grove, Sunshine Nursery, an easy walk to many area hotels, including Grace Bay and Ocean Club West. 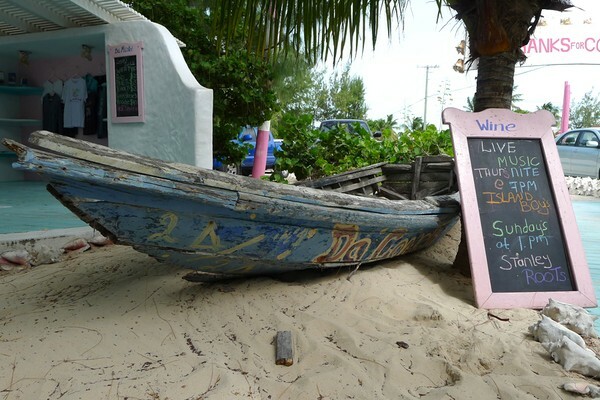 The menu is fresh fish, conch, and local cuisine. Dinner only. The hilltop restaurant in Turtle Bay is the place to come at sunset. The views over the bay are amazing. Kayak. Paddleboard. Snorkel. Swim. Dive. The waters are blue, clear, gorgeous, and warm year-round. What they’re not is rough, so leave the surfboard at home. 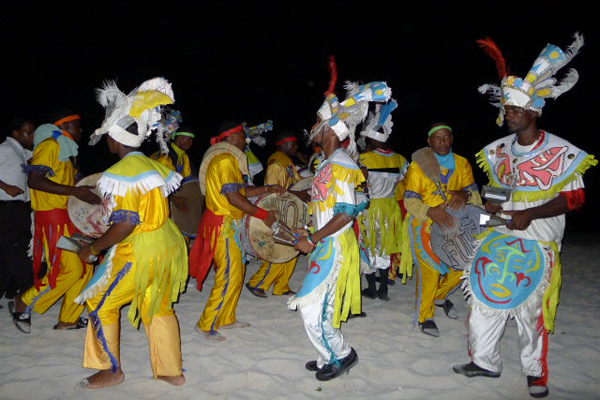 A Junkanoo band in action on the beach. 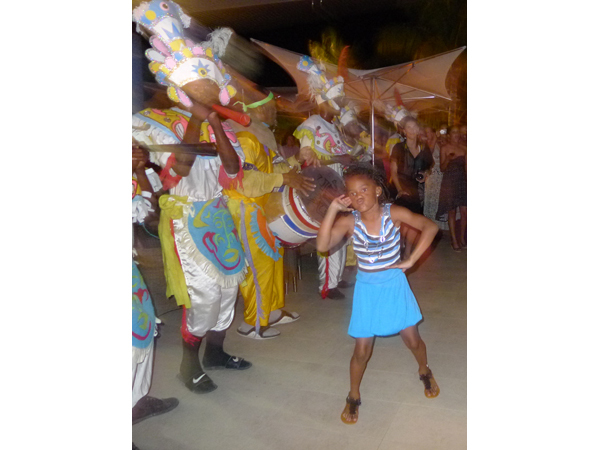 Everybody loves a Junkanoo dance parade. Sign up for half- and full-day tours around the islands. You’ll dive off the catamaran, snorkel around the reefs, and make your way to a deserted island, where Captain Shaun and his sailors will prepare a fresh conch lunch right on the beach. The Island Vibes Tours guys. 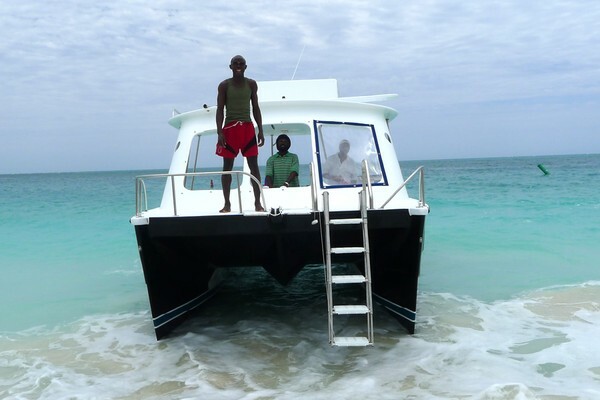 Your hotel can arrange a good charter and there are also local ferries. Here’s a quick overview of the surrounding islands. Miles of spectacular coral walls make West Caicos the place for diving. Grand Turk is the seat of government and is allegedly where Christopher Columbus landed in the New World. 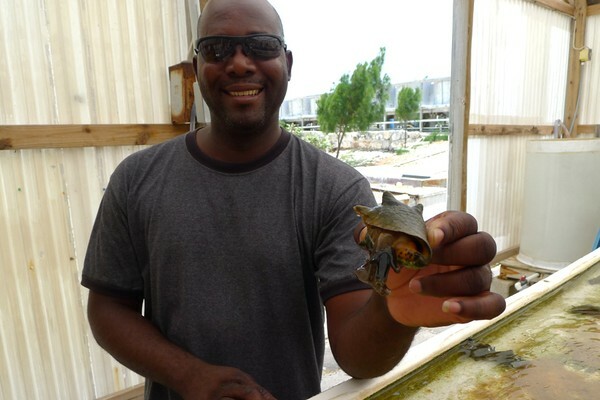 North Caicos is agricultural and tropical. Middle Caicos, the largest island, has gorgeous beaches, fewer than 300 residents, and the rugged Conch Bar Caves tunnels and caverns. 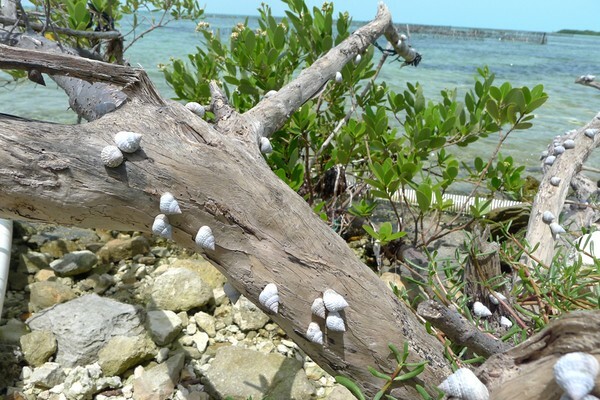 East Caicos has dramatic views but is otherwise swampy and uninhabited, unless you count the feral donkeys. 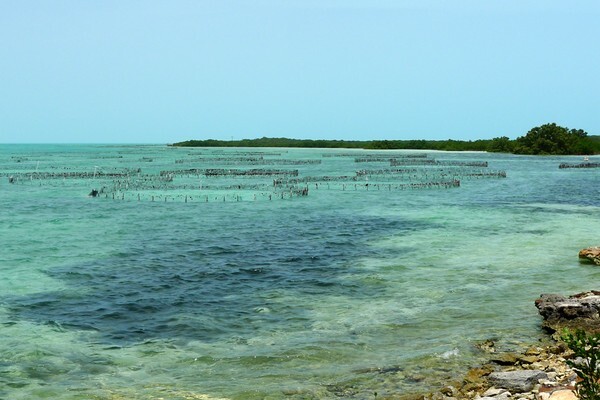 South Caicos is the fishing capital. Historic and quaint Salt Cay is awaiting its UNESCO World Heritage designation, and in the meantime remains a favorite path for whales during fall and spring migration seasons. 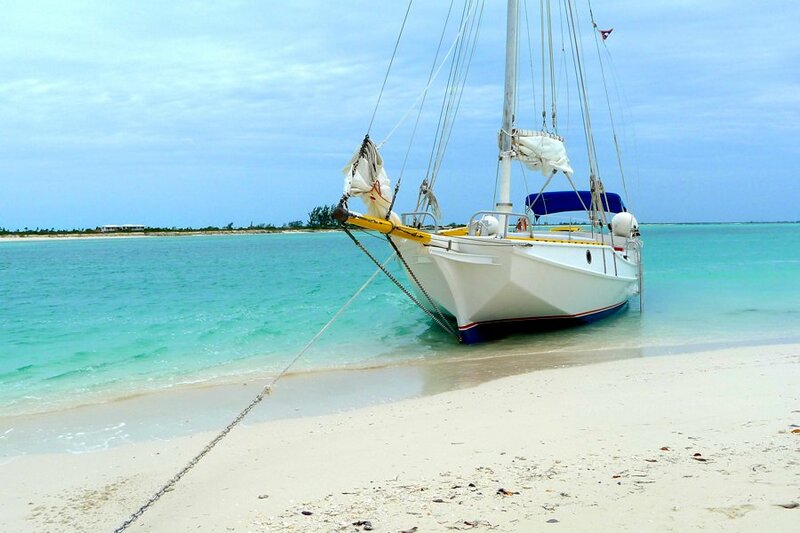 The Leeward Cays are the tiny islands between Provo and North Caicos. Among them are Parrot Cay, Fort George Cay (where abandoned cannons off the northwest shore make for great snorkeling), Pine Cay (home to the totally unplugged Meridian Club resort), Dellis Cay (site of a future — or abandoned — Mandarin Oriental project), and Little Water Cay (a nature reserve that’s home to more rock iguana than you ever thought possible). The ocean pens at Caicos Conch Farm. Infant conch like to eat barley left over from local beer production. Adult conch. Probably also likes barley. Show conch. Totally posing for the camera. It’s easy to get sick of conch down here. 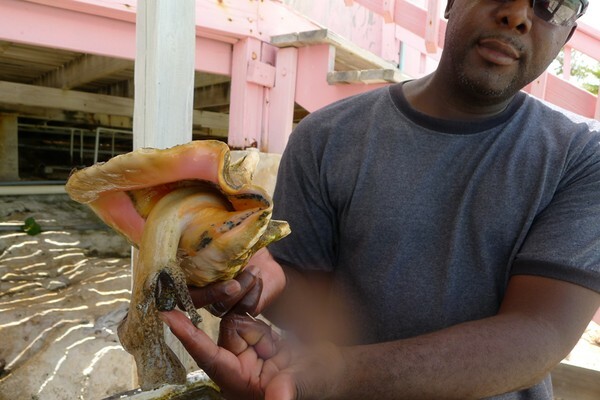 But don’t laugh: I visited the conch farm and found it totally interesting. 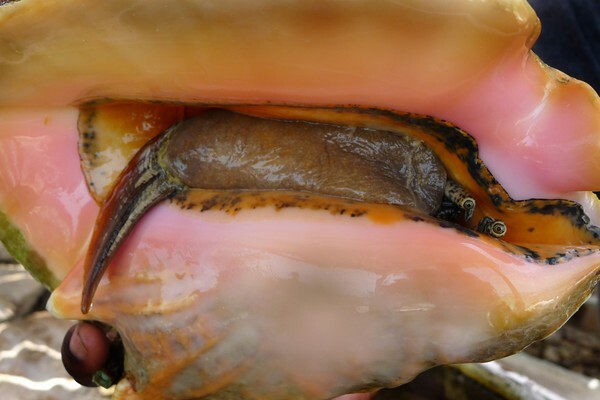 The conch in the hatchery are separated into pens according to age, from four months to two years. Conch are shy by nature, but the folks at the farm somehow trained two conch, a male and a female, to preen for visitors. I’m totally serious. The 18-hole course is considered one of the best in the Caribbean. There are no restrictions on tee times, so feel free to be lazy about your game. Your beach hammock awaits at the Verana. Fly: American Airlines, US Airways, Delta, JetBlue, and Continental all fly direct from major east coast cities to Providenciales International Airport (PLS). Getting Around: Taxi services are plentiful, but if you want to rent a car, the major companies (Avis, Hertz, Budget) are on the island. They drive on the left side. From December-May, temperatures are in the low 80s. From June-November, which is also hurricane season, temperatures range from the mid-80s to low-90s. Trade winds make the island feel cooler. Tips: Add 15% at restaurants, which don’t add a gratuity, but do add an 11% service charge. They’re not the same thing, so don’t stint the server. Currency: The official currency is the US Dollar. The local currency, TCI crowns (worth about $1.25), make great souvenirs for kids.